Charity events, shooting in advertising campaigns and screenings take a lot of time from the Russian supermodel and philanthropist Natalia Vodianova, so she spends vacations only with her family. 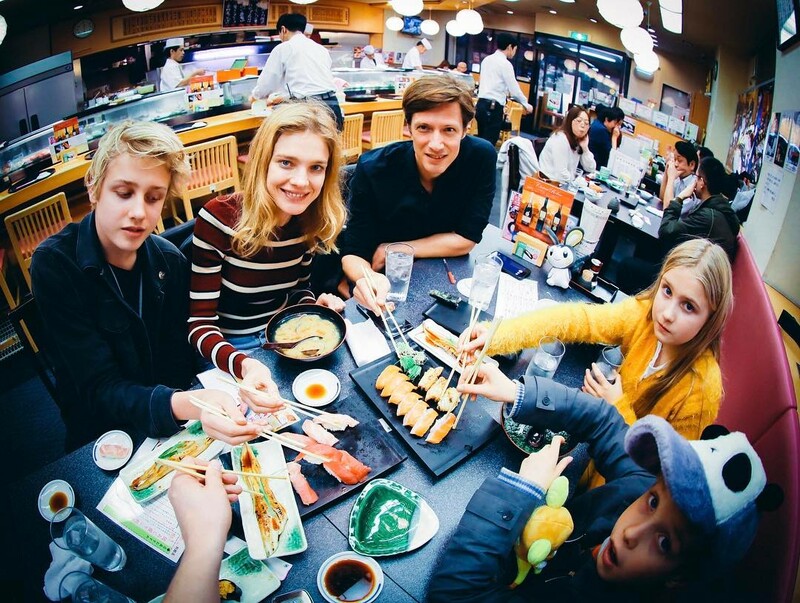 Now Vodianova is resting with children in Japan. 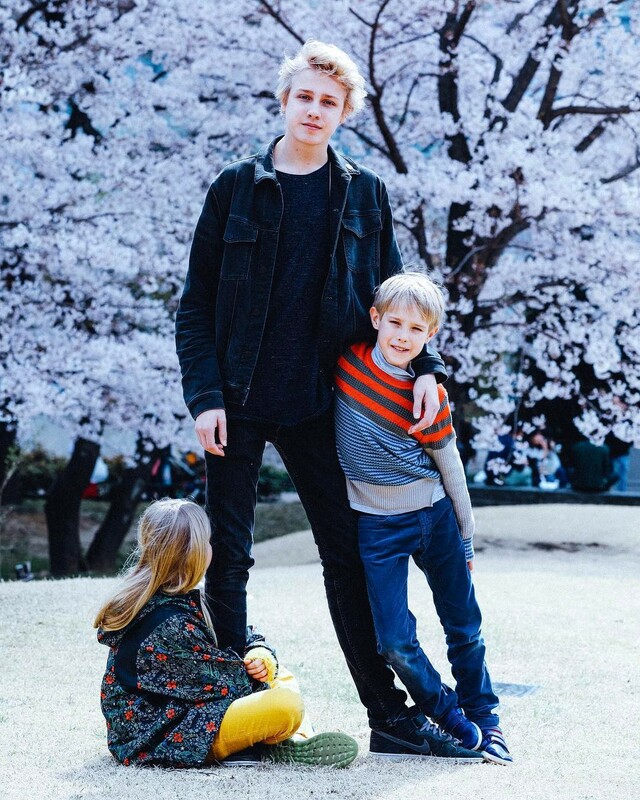 Natalia went to Tokyo with children from her first marriage with British aristocrat Justin Portman, 15-year-old Lucas, 11-year-old Neva and 9-year-old Victor. Model shares family photos from the holidays, photos of the blooming cherry blossom, frames of city streets and dinner in a traditional Japanese restaurant on Instagram. April in Tokyo - the most tourist season, the time of cherry blossom. Natalia Vodianova with her beautiful "kindergarten" - already quite grown-up Lucas, Neva, Victor and the youngest Roman (they did not take only two-year-old Maxim) - went to admire this beauty. Watching the Tokyo adventures of the supermodel was very interesting - the supermodel and her companions regularly and in detail reported on what they saw, heard and eaten on their instagrams. 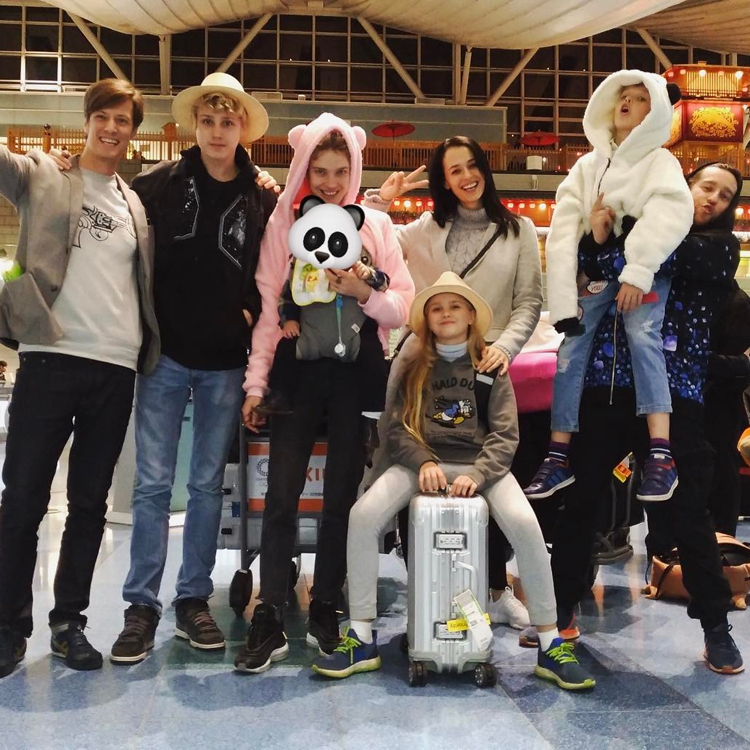 In the capital of Japan, Vodianova went not only with the children, but also with the scout of the modeling agency Russian New Faces, Alexei Pinaev, with his wife, the model Victoria Kushnareva, and Timon Afinsky. The main occupation of the holidaymakers was, of course, walks along the busy, flooded streets of the Asian metropolis and its peaceful parks. 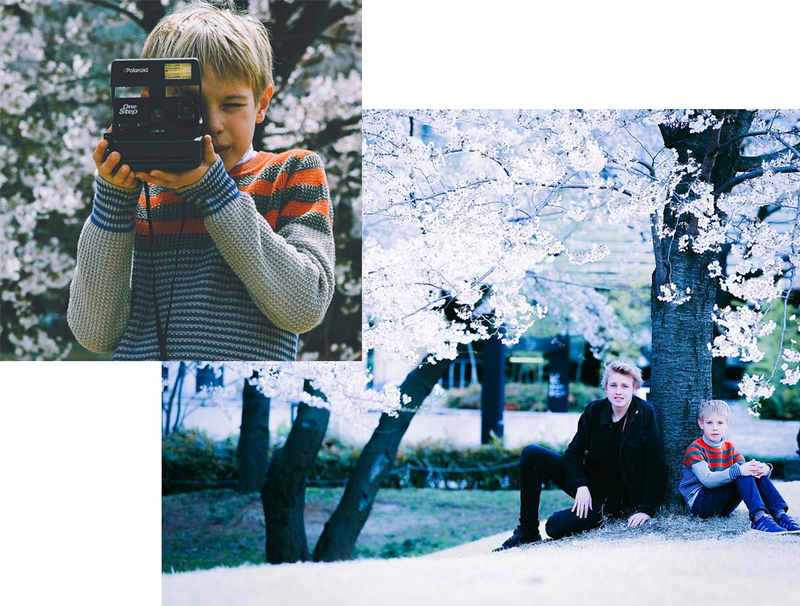 Timon Afinsky arranged for children a whole photo shoot in the sea of ​​cherry blossoms. Another obligatory component of any trip is gastronomic. Our travelers have tasted a lot of Tokyo delicacies, including the gourmet Mecca of Tokyo, at the Tsukiji fish market, where you can taste all the delicious things in Japan: noodles, rice and, of course, fresh fish, soups, sushi, rolls And woks of all colors. In addition to walks and gastronomic delights, Natasha had time to see her famous friends. And the whole family - with Mario Testino. Yesterday the travelers flew home. At the airport Lucas and Viktor played nauts, and Neva behaved modestly and with dignity, posing for her mother in a fashionable hat. That's the whole company just before the flight. A picture taken during her trip to Japan, Natalia shared on her Instagram. Having shown her son for the first time, Vodianova almost immediately shared a second photo, in which she is seen with the children and photographer Mario Testino. "Coming to Japan, bring your own Supermario", - wrote supermodel. 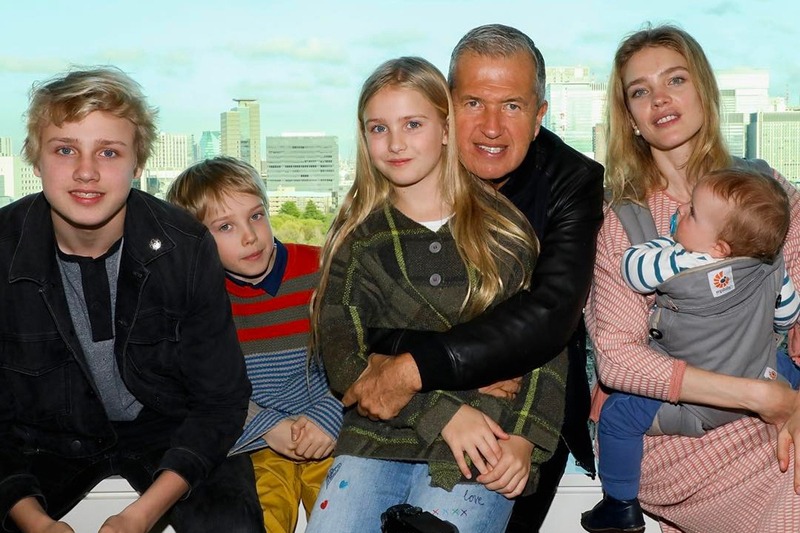 It seems, despite the suspicion of the sixth pregnancy, Natalia Vodianova, travels with her five children. Recall, the first three children were born in a marriage with British aristocrat Justin Portman. But the two-year-old Maxim and the younger Roman are the children of the French businessman Antoine Arnault. 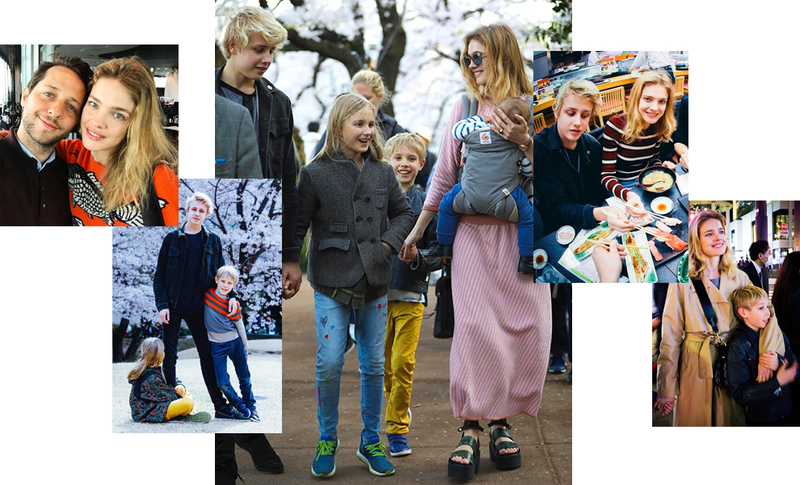 Recall that Natalia Vodianova has five children. In addition to her two sons and daughter from her first husband, she has two sons from French businessman Antoine Arnault - two-year-old Maxim and 10-month-old Roman.